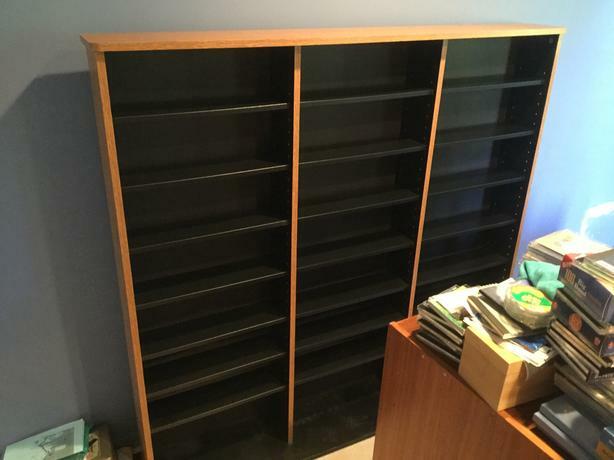 CD storage is 54" W, 51" H, D 7" top, D 10" bottom. Adjustable shelves. As new condition. Nice looking unit that holds aprox 1,000 CDs.